9 Stylish Techniques for Painting Living Rooms - GNH Lumber Co. 9 Stylish Techniques for Painting Living Rooms - GNH Lumber Co. Does your living room need a fresh look? Are you thinking about painting your living room but don’t want to go with the same, boring solid walls of solid color? Don’t worry – there are many creative and out-of-the-box ways to approach your living room painting project. 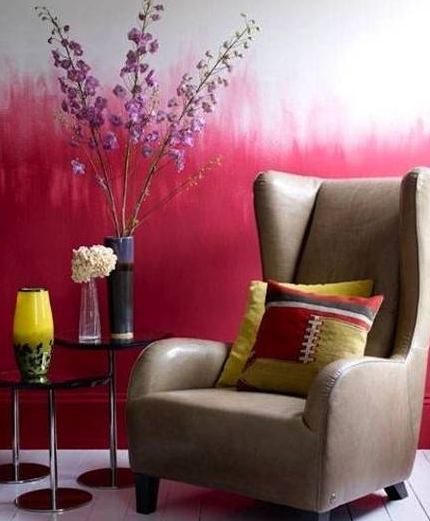 And we’ve gathered up a few stylish and fun living room painting ideas you can try this fall. Painting is one of the most amazing tools for creating a whole new living space quickly and at minimal cost! It’s a fun weekend project for the whole family. Beyond a rainbow of colors, sheens and finishes, there are also a wide range of textures, effects, stenciling and other creative techniques you can use to really make your living room walls pop. The only question is: which stylish technique for painting living rooms will you pick? Watercolor painting, or “Ombre” painting, is a beautiful decorating trend that can personalize modern interiors. It gives the effect of one color melting softly into another color, like a sunset sky. Follow these step-by-step directions from Spruce.com to make sure you get the look just right. This is a really satisfying way to create visual depth in your living room, and lend an airy, ethereal mood. 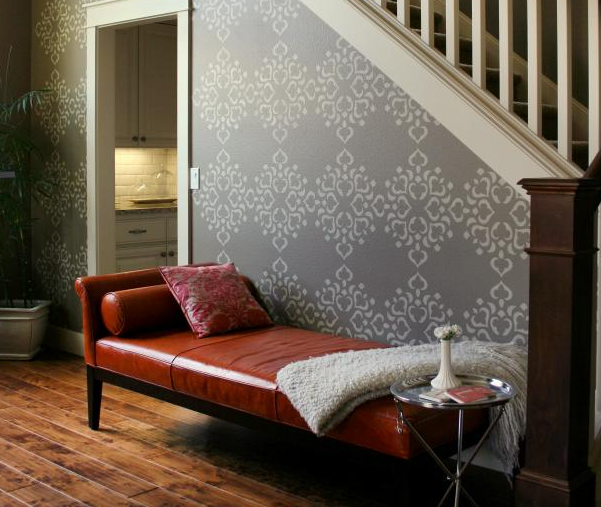 Break out of the constraints of solid walls of color with stencils! With an endless supply of stencils available, plus, the ability to create custom stencils of your own, the sky’s the limit when it comes to designs. If you want to create a repeating pattern—or even an entire wall mural—but don’t want to test your freehand artistic abilities, a stencil should be your tool of choice. It’s fun to involve the whole family in choosing just the right stencil pattern to create a design you love. You can stencil a whole wall or just a border to create a range of effects. 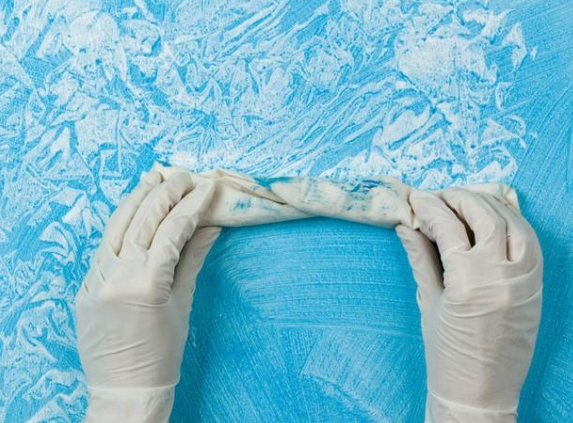 Rag rolling is a paint technique that’s considered “country finish.” Use this simple method on an accent wall to create a focal point, or go bold on all four walls. 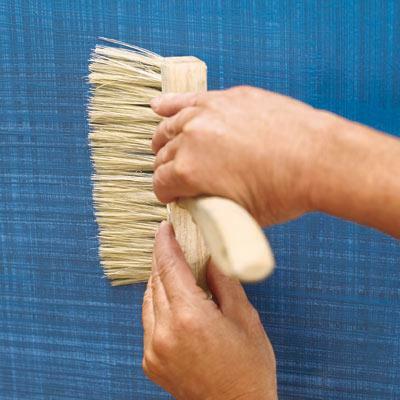 To create the rag rolling look, first paint your walls with an overall base color. Allow it to fully dry. Then use a crumpled rag to apply a darker or lighter glaze color mixture over it. You simply roll the rag over the wall in random directions. 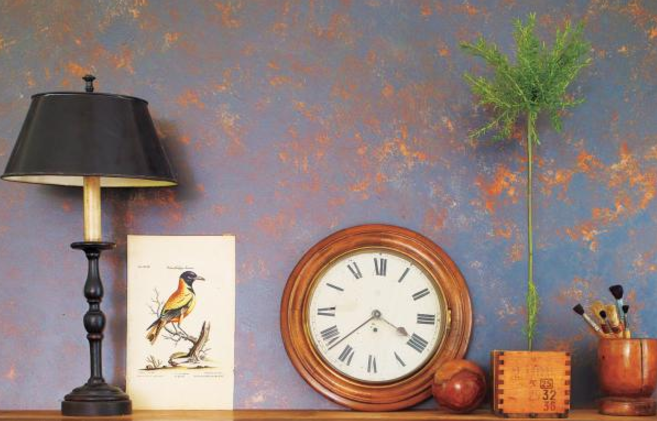 Sponging, which is like rag rolling, is another way to create a textured wall that works well with many decorating styles. It’s easy really to do too! Just paint your walls with your desired base coat to get started. Once dry, use a natural sea sponge or sponge roller to dab on your desired top color in random, slightly overlapping patterns. The dragging, or “Strié linen weave” painting technique is a great way to add texture to a modern, contemporary, or very eclectic space. It’s also easy to create by dragging a coarse brush through a tinted glaze in section. First, mix your satin base coat color of Benjamin Moore Interior Paint and glaze, then apply the paint/glaze mixture on the wall in sections, dragging your wallpaper brush over the wet glaze vertically and or horizontally. The idea is to create the look of a linen weave. It will take some time but the look is stunning. 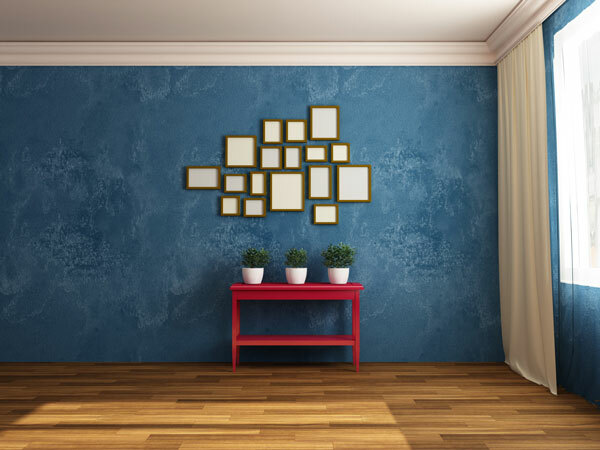 If you aren’t brave enough to paint the whole room with bright colors, why not consider a bold accent wall? This is a great way to introduce a pop of color, create a focal wall, or to add depth and texture to the space. You can use a focal wall to showcase artwork, photographs or to direct traffic down a hallway or up the staircase. You can also break up a smaller room into zones with a well-placed wall of color. 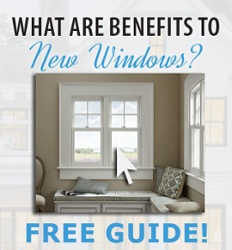 Questions about your interior painting project? The experts at GNH Lumber are ready to help, offer tips and guidance, and help with your paint selection. Stop in to see us today!